having a single-speed bike set up for speed is heaps of fun. seriously. until you reach a mountain. then its pain, sweat and tears. worth it, though. look at that panorama. 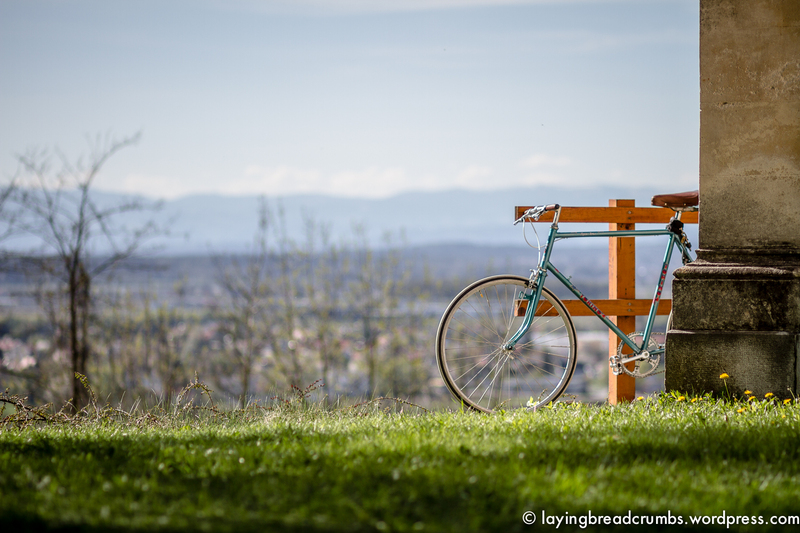 green grass, a bike, a long valley and then snow-covered mountains? whoa.